Cathegory dedicated to lubrication and protection. Professional products with a high technological content, coming from daily research of Eco Service laboratories. 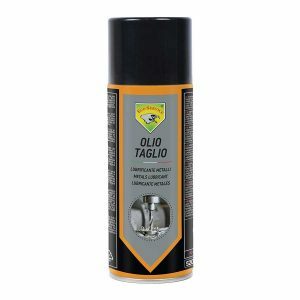 Products designed for the maintenance of many objects and materials, both for professional and do-it-yourself use. They are formulated with the ultimate generation of raw materials of exclusively European origin, maintaining high awareness for the low environmental impact. 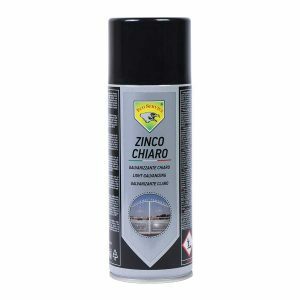 Practical and effective, these products meet the many maintenance needs that may arise in industries; workshops; gardens; homes; offices; in the nautical and automotive sector. 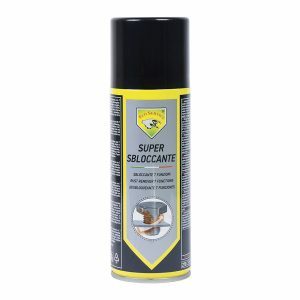 Inside the lubricants – protectives line, you will find universal products, such as W8, the only Biodegradable Spray Rust Remover with 8 functions (releaser – protective – lubricant – water-repellent – antifreezer – degreaser – dielectric – anticorrosive) and specific highly professional products, such as our Cold galvanizers. 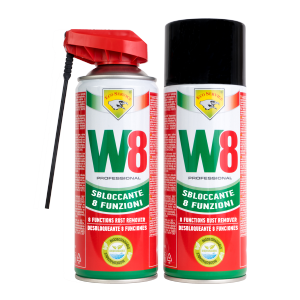 W8 8-function biodegradable spray lubricant with a 360° dispenser valve: releasing, protective, lubricating, water-repelling, dielectric, antifreeze, degreasing, anticorrosive. W8 can carry out all 8 functions either together or separately, therefore it becomes an essential instrument for returning functionality to objects used in workshops, at home, in the garage or garden, when sailing, or wherever there is a blocked mechanism. Does not contain trichloroethylene. Military specification product: MIL-C-23411 MIL-C-16173 DEF STAN 68-10/2 NATO C-634. Eco Service is an Italian firm that manufactures and distributes chemical products with high technological content to meet the needs of industries, homes, cars, motorcycles, navigation, DIY, building sector.